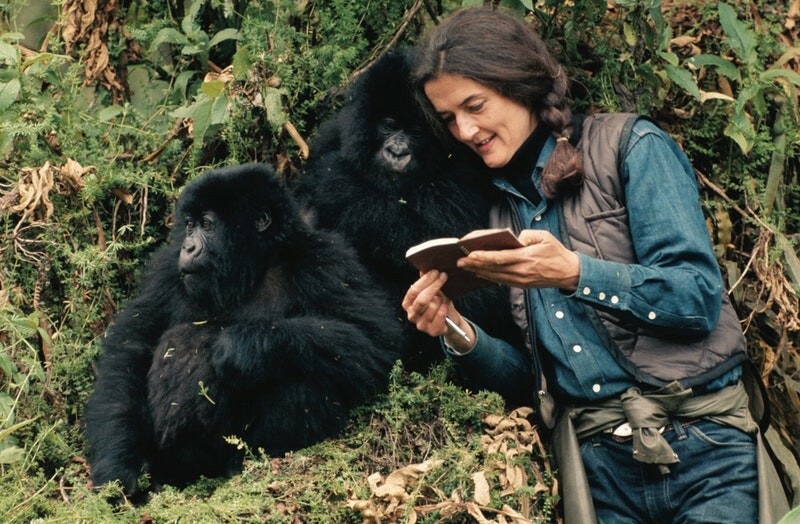 Dian Fossey and the Rwandan gorillas she served to protect. Photo: StarTribune. In 1766, Jeanne Baret became the first woman to circumnavigate the globe. She managed this triumph through masterful disguise and deception, tricking her way onto a French expedition ship — L’Etoile — while dressed in all-male attire. Sharing the boat with 100 sailors and captains for two years, Baret was acting in direct contravention of contemporary laws and decrees that stated no woman should board a naval ship in any capacity. Read more about her changemaking story here. Following in Baret’s footsteps, 16-year-old Laura Dekker fought courts and tides to become the youngest person to solo-circumnavigate the globe in 2012. Much like Baret, Dekker’s adventure went against state guidelines, with the Dutch authorities responsible for child welfare trying to shut down her expedition before it had even begun. Following two years of legal battles, she was finally able to undertake the 518-day oceanic journey that wrote her into history, sailing west from Gibraltar to the Caribbean, Australia and finally South Africa. Watch her rousing story here. 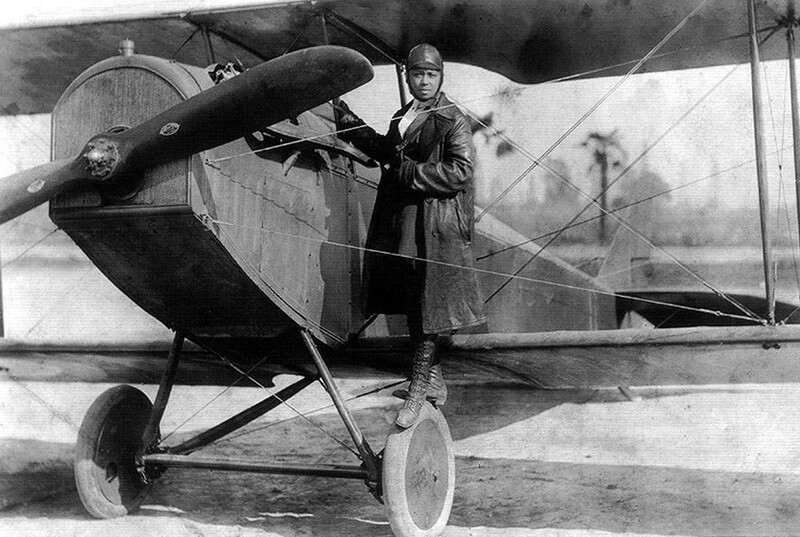 The formidable Bessie Coleman and her airplane. Photo: Atlas Obscura. We are all familiar with the remarkable yet saddening story of Amelia Earhart’s aviation career; yet, rarely do we acknowledge the work of Bessie Coleman as the first African American woman (and first woman of Native American descent) to earn her wings. Coleman, originally from Texas, relocated to France to take up pilot lessons, securing her aviation license in 1922. She worked both to transport passengers and to wow audiences with her stunt tricks. Find out more about Bessie Coleman’s incredible story here. Continuing the trend of first female flyers, Beverly Burns became the first woman to pilot a Boeing 747 in 1984 while cruising from Newark to Los Angeles. Prior to her aviation duties, Burns occupied a number of positions in the travel sector including bag handler and gate agent. While being interviewed in 2002, Burns recounted the moment she decided that she wanted to be a pilot upon hearing a first officer say “women are just not smart enough to do this job.” Earhart, Coleman, Burns and their peers have undoubtedly opened the door for the female pilots of today; however, there is still great work to be done as only 5.18% of pilots across the top 35 global airlines are female, according to Forbes. Read more on female representation in aviation here. 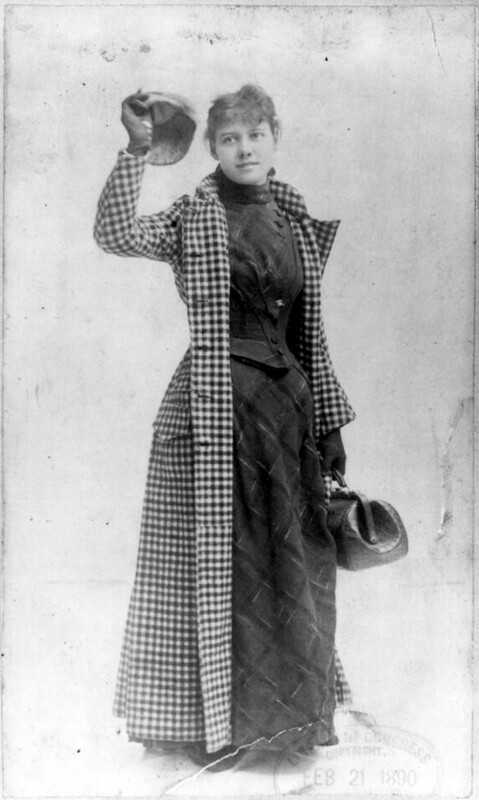 Journalist and adventurer Nellie Bly. Photo: Library of Congress. A writer, businesswoman and proto-feminist, Nellie Bly is known for her varied work in oil manufacturing, investigative journalism, and for setting a world record of travelling around the world in 72 days, beating Jules Verne’s previous record of 80 days. Bly did this on commission from The New York World in 1890 after pitching the plan to her editor. Though her accomplishment was later surpassed, Nellie Bly leaves a legacy of being the original trailblazing solo female traveller. Read more about Nelly’s amazing story here. “Are you a woman? Do you know a woman? Congrats — this podcast is for you,” reads the introductory blurb to the Women Who Travel Podcast by Conde Nast, hosted by journalists Lale Arikoglu and Meredith Carey. Beginning in April 2017, the podcast has covered issues such as travelling while pregnant, interviewed female adventure tourists who have crossed Antarctica, and debated travel ‘burn-out’. Listen to the series for free here. While studying gorillas in Rwanda, Dian Fossey fought animal poachers through tactics she referred to as ‘active conservation’ — otherwise known as confrontation — putting her own life at risk in the process. Recognising that the Rwandan park rangers of the 1970s were ill-equipped to protect the gorilla families that she had come to know, Fossey invested her own money in initiating the region’s first focused anti-poaching patrols. Although she passed away in 1985, Fossey’s legacy is alive and well thanks to her widely-known book ‘Gorillas in the Mist’ and the Dian Fossey Gorilla Fund, which has not only helped to protect the gorilla population in Rwanda, but has also actively rebuilt population numbers. Support the Fossey Fund here. In 2018, Portia de Rossi made a donation in her wife Ellen Degeneres’ name towards building a campus and research centre for the Dian Fossey Fund at its Karisoke base in Rwanda. Historically, the Fund had been stationed in two large tents with surrounding cabins. This donation thus enables the Fund to build a permanent structure and base to operate from, allowing them to better protect the gorillas they serve. Watch this great moment here. “A willowy blonde with more time for monkeys than men told today how she spent 15 months in the jungle to study the habits of the apes.” This is how one reporter described Dame Jane Goodall upon her return from Kenya in 1962, crassly underestimating the seismic impact her work would have on biology. 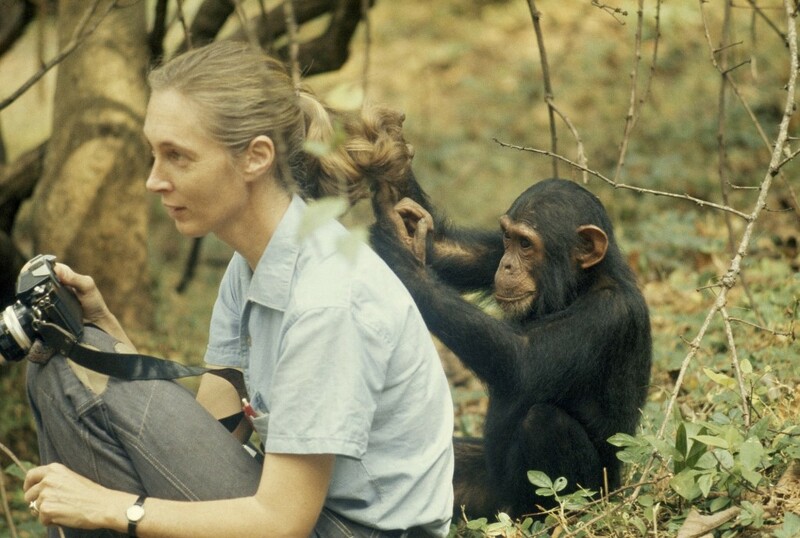 Goodall, who didn’t have any scientific training or academic qualifications at the time, had just got back from a research trip in which she uncovered some of the largest revelations about primates ever made, notably that, chimps are carnivores, and use tools to help with their day-to-day tasks (a skill thought to be exclusive to humans). These discoveries revolutionised the discipline and kickstarted a career spanning over 50 years (and counting). Goodall still tours the world today to educate audiences and lobby world leaders on conservation issues. Find out more about Jane Goodall’s story here. Dame Jane Goodall and her primate friend. Photo: National Geographic. These are just a handful of the brilliant women whose work and legacies continue to transform the travel sphere and story. Not all of the global Travel & Tourism sector’s female workforce (46.4%) will win individual accolades or titles, but they will each be vital to the tourist experience, supporting the sustainable growth of the sector, and pioneering an innovative and diverse future for travel. The cleaners, caterers, check-in agents and tour guides. The destination marketeers, supply chain managers, Uber drivers and AirBnB hosts. The CEOs, Ministers, and breakers of glass ceilings. We salute the valuable contributions of every woman in the Travel & Tourism sector not only on International Women’s Day but every day. Let us know the female travel leaders who are inspiring you on Twitter at @WTTC and in the comments below. This post was written by Chloe Wynne, Communications Executive, World Travel & Tourism Council.